From the Ritzenhoff Smoking Light Collection: Artist: Rudiger Goetz. This ashtray is a fun way to enjoy a cigarette. 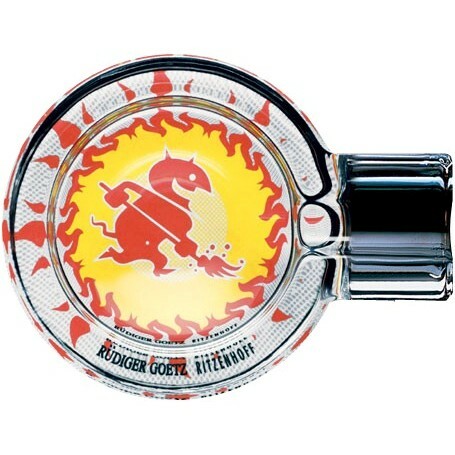 Constructed of crystal, this ashtray features Goetz's corporate, clean design, staying true to his artistic style. The devil inside of the red sun makes a great conversation piece and is stylish for any tabletop. There is a small resting space on the rim for cigarettes. This is the smallest of the Ritzenhoff collection, making it perfect for personal cigarette use.